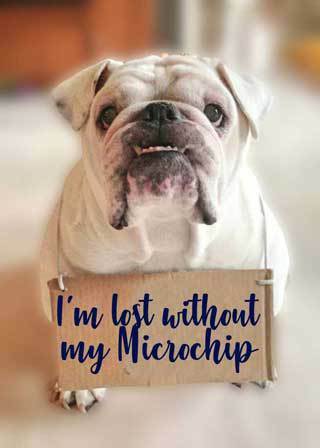 If you adopt a bulldog from us, he or she will have a microchip. We will give you the microchip number so that you can register him under your information. Your contract will require you to leave HBR as one of the contacts on your chip (most chip companies allow for a primary contact, and multiple other contacts). In the case your dog is lost or stolen, he can be traced back to you if scanned at a shelter or vet. A microchip is a computer chip enclosed in a small glass cylinder that is about the size of a grain of rice. It is injected under your pet’s skin between the shoulderblades. Each microchip is connected to an online registry of owner contact information. In the event that your pet is lost and taken to a shelter or veterinary hospital, he will be scanned for a microchip. If the contact information on file is up to date, you can be quickly notified and reunited with your pet. You MUST register your microchip and keep your contact information up to date in order for your pet to be reunited to you. An unregistered microchip contains no information and is essentially useless in reuniting you with your pet. 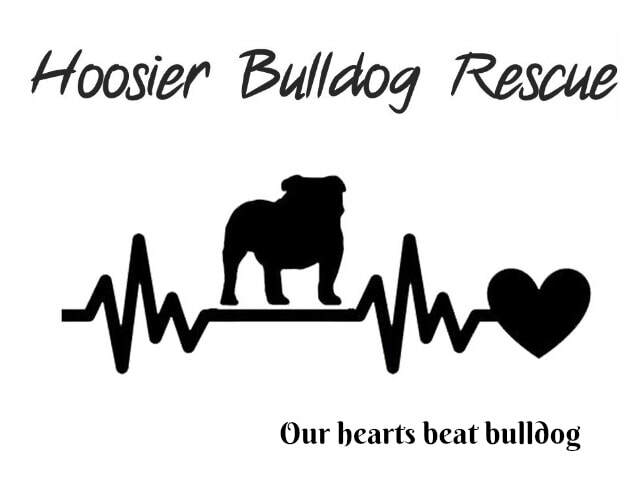 However, a registered microchip with current contact information is a lifesaver for your pet! How is the microchip implanted? Will it hurt my pet? Implanting a microchip is quick, easy, and relatively painless. Your veterinarian will inject the microchip under your pet’s skin between the shoulder blades using a hypodermic needle that is slightly larger than those used for vaccinations. No anesthesia is required. My pet wears a collar with ID tags, so do I really need to microchip? Collars and ID tags are still the quickest and easiest way to identify a pet’s owner. However, collars can tear/break off or be removed from stolen pets. 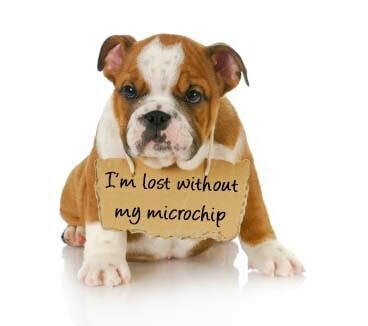 A microchip cannot be removed in the event your pet is stolen or the collar/tag is missing. Using tags and a microchip together—and ensuring both are regularly updated—is the best way to ensure your pet’s safe return. My cat never goes outside. Does he need a microchip? While it’s great that you’re keeping your cat safe indoors, there’s always a chance that he could become lost, whether he escapes through a door left ajar by a guest or repair person, through a window with a loose screen, or if he is taken during a home invasion. Since there’s always a chance your cat could get out, it’s best to make sure he is microchipped. How much of my information is accessible via microchip? Do I need to be concerned about my privacy? The only information that will be accessible from your pet’s microchip is the contact information you provide when you register it. Therefore, it is essential you provide your phone number so that you can be contacted and reunited with your pet. It is recommended that you provide an alternative number, such as a spouse or family member in case you cannot be reached. Some microchip companies also allow notations for pet’s medical information. However, the information contained on the microchip is ultimately up to you. While prices vary depending on veterinary hospital, the cost of microchip implantation is a minimal one-time fee usually between $30-50; this often includes the registration fee to enter your pet’s ID number in the microchip database. Remember, you must register your microchip in order for it to be effective. Does microchipping really help lost pets get home? *** In the cases of those animals who were microchipped but weren’t returned to their owners, the AVMA states that this was primarily due to missing or incorrect owner information in the microchip databases. We can’t emphasize it enough – you MUST REGISTER YOUR MICROCHIP and keep your contact information up to date! I just adopted a pet from a shelter/purchased a pet from a breeder, how can I tell if he is microchipped? Your veterinarian can scan for a microchip and check the number in the database for you. Most shelters/rescues microchip animals before they adopt them out. Many rescues request that they remain a secondary contact on the microchip in the event your contact information becomes out of date and your pet is located at a shelter. The chip is activated by radiowaves emitted by the scanner as it is passed over the implantation site. Microchips do not wear out, as they do not have batteries or moving parts. Do microchips cause side effects? According to a database maintained by the British Small Animal Veterinary Association (BSAVA), over 4 million animals have been microchipped since 1996. Of those 4 million animals, only 391 have had adverse reactions. The most common problem reported is migration of the microchip from its original implantation site. Most veterinarians will scan a large area of the body to ensure they are not missing a chip because it has migrated. All pets should wear collar tags imprinted with their name and your phone number. This is the easiest way to reunite a pet with his/her family. However, tags are not permanent : collars can get caught on things while a dog is lost and be torn off; and in the case of theft, a collar/tag can easily be removed. Many indoor cats don’t wear collars or identification tags, or they become separated from their collar once lost. Only a microchip can provide permanent identification that cannot fall off, be removed, or become difficult to read. We like to think it won’t happen to us, but in the United States, about 1 in 3 pets gets lost at some point in its life. Fewer than 2% of lost cats without microchips are returned home, according to one microchipping company, and if a cat is microchipped, the return-to-owner rate is 20 times higher than if the cat isn’t microchipped. The device is a small, electronic chip enclosed in a glass cylinder about the size of a grain of rice that is inserted under your pet’s skin. It’s a radio-frequency identification (RFID) implant that contains a unique identification number linked to your information and stored in an online database. When a microchip scanner is passed over your pet’s implant, the microchip uses power from the radio waves emitted by the scanner to transmit the identification number. Because RFID doesn’t require a power source like a battery, you don’t have to worry about keeping it charged or replacing it—it will last the lifetime of your pet. The microchip comes preloaded in a sterile applicator and is injected under the loose skin between the shoulder blades. The process takes only a few seconds and your pet should not react any more than it would to a vaccination—no anesthetic required. Misconception 4: The shelter / breeder microchipped my pet, so we’re protected. Many people adopt pets that have already been microchipped by a rescue, shelter, or even breeder. New owners mistakenly believe that the microchip is linked to their name and information upon adoption, but often the chip is still linked to that organization’s information until it is updated by the new owners. Many organizations will request that you leave their information on the chip on as an additional contact, but you will want to add your information as the primary contact in case your pet is lost or stolen. Fortunately, most microchip are now "universal" which means that it can be read by any universal scanner. Furthermore, many microchip companies now make universal scanners and distribute them to shelters at little or no cost. This means that whatever microchip your pet has, any scanner can detect it. However, this was not always the case. Competing microchip companies used different radio frequencies to send ID numbers to scanners, and until recently there was no universal scanner that could read all frequencies. It would be a good idea to double check your microchip and confirm that it is a universal chip. The biggest misconception about microchips is that once implanted, your pet is protected, but there’s one more key step. Too often, lost animals are taken to shelters, scanned for microchips, and the ID number leads nowhere because the microchip was never registered.